Unconscious bias can be a difficult topic to explain. After all, if something is unconscious, how do you even know that it exists? To shed some light on the issue and increase understanding, we’ve put together five real-world examples of unconscious bias. 1. HELP! My video is upside down. Many times we think of unconscious bias as being about race or age, but it covers a much broader spectrum and no one, it seems, is immune to stumbling over it. Google supplied an excellent example of how even a simple bias can affect your business. When YouTube launched the video upload feature for their app, 5-10% of videos were uploaded upside-down, and Google developers were baffled. Could such a large percentage of users be shooting their videos incorrectly? “Incorrectly” was the key word. Google engineers had inadvertently designed the app for right-handed users. They never considered the fact that phones are usually rotated 180 degrees when held in a user’s left hand. With the help of unconscious bias, Google had created an app that worked best for right-handed users and never addressed the possibility of a left-hand user. We think Google needs a little more diversity on their team …any left-handed engineers need a job? 2. This candidate sounds great! Resumes are a consistent source of unconscious bias. One particular study gave a group of managers a set of resumes. Some of them were exact duplicates where only the names had been changed. Resumes with the Anglo sounding names received substantially more callbacks that those with diverse names of other origins. Clearly it was the names and their associated biases that impacted the decisions instead of the qualifications and value they could bring to the company. Activities were another source of assumptions. Those that sounded more prestigious, like polo or horseback riding vs. basketball or softball, skewed the perception of the candidate. Those engaged in more prestigious sounding activities were considered more refined and successful than their counterparts, simply because of their perceived financial status. These conclusions may have very well been valid, but they could just as easily been untrue. 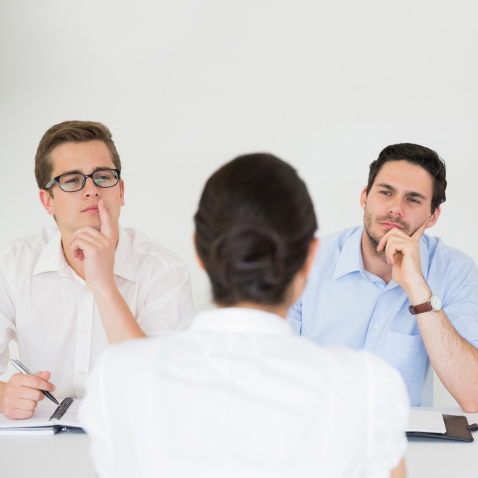 An interviewer’s bias makes a substantial difference in the selection arena. Very talented applicants would have been turned away for unfounded reasons. 3. She’s not great with computers. Assigning a project with a significant technical component? The best choice is a Generation Y-er, not the Baby Boomer, right? This could be an accurate assumption, but it’s not always the case. It’s not wise to base a decision on an idea or belief that doesn’t have the facts to support it. There are many times when a manager or employee will frame their unconscious bias as common sense. However, your Xbox playing, mobile app developing Baby Boomer may be more tech-savvy than most. By assigning the project to a younger, less experienced employee, you could potentially sacrifice quality or miss out on an innovative idea. Evaluating competency based on age is a common mistake and one that could be costly to your company. 4. You remind me of someone I know. Have you ever worked with or hired someone who reminded you of another person? It’s a subtle, but real form of unconscious bias. The feelings and opinions you associate with another person can easily influence the way you see someone else. Leaders have the responsibility to put aside past experiences and see the person as an individual. This can be difficult at times, so leaders should feel comfortable enough to ask for others’ input. Letting a past experience shape your current decisions is unfair to you, the potential employee, and the company. 5. He speaks the language. It’s not overtly racist; it’s simply an assumption that because this person is African American, he must be more familiar with the urban environment and the issues the community faces. The reality may be that this African American project manager grew up in the suburbs, went to private school, played polo and has had no experience living in an urban community. He may or may not be the best project manager for the job, but the choice could have easily been based on an invalid assumption completely unrelated to the requirements of the project. These simple examples demonstrate how easily unconscious bias can creep into your business, shape daily decisions, and impact your company. Recognizing its influence is the key to making objective decisions and avoiding these common mistakes. 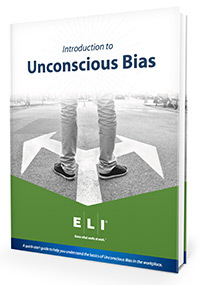 Very interested in all aspects of unconscious bias. Regarding the “He speaks the Language” example – how many people immediately associated “urban” with African American? The word ‘urban” itself & its use may be an example of conscious bias or a means to “soften” or rename areas formerly referred to as “inner-city” or even more harshly ghettos. Very nicely done, but still a depressing reality in the workplace, real estate market, banking etc. Leaned behaviors are difficult to unlearn at later stages of our lives and careers. I’m not convinced that this phenomenon is real. Can anyone name a single actual case where it has been proven, just to a reasonable standard, that 1 person made a ‘sub-optimal’ decision when it came to hiring or promoting someone because of unconscious bias? Well, as someone who’s worked in HR, I know for a fact that many CV’s were disregarded during initial scans only because of certain hasty assumptions based on people’s backgrounds. Then again, it’s what the specific person decided to put in their CV but let’s not go there. The main objective here is to let go of prejudicial thinking because let’s face it… Outward appearances don’t say much besides how ego-centric we are.